Do you or a loved one need rehab for alcoholism, alcohol abuse or an alcohol addiction in the UK? Perhaps you are considering a rehab abroad but are worried about the quality of treatment they deliver. Finding the right alcohol rehab for you or your family member can be very stressful and confusing. Call any alcohol rehab in the UK or overseas and they will tell you that they are right for you. There are literally thousands of alcohol rehabs worldwide to choose from and naturally you will want the one that gives you the best chance of actually working. Alcohol rehab can be residential rehab or community based rehab. They are designed to help you to overcome an alcohol abuse problem, alcohol addiction or an alcohol dependence. A quality alcohol rehab should offer a medical alcohol detox for any alcohol dependence that is identified and an alcohol rehab programme to ensure that you have the tools to stay sober long term. There are many different kinds of alcohol rehabs to consider, all vary in services and price. 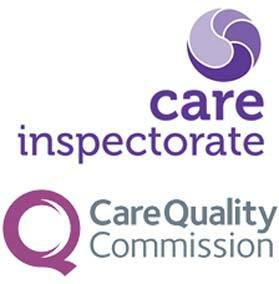 If you are looking for a residential alcohol rehab it is essential that they are CQC registered, well established and have a good success rate. Please do not take chances with an inpatient alcohol rehab that does not fit this criteria. The best alcohol rehabs in the UK only use evidence based alcohol addiction treatments, delivered by qualified and experienced counsellors, therapists and medical practitioners. Which Rehab work with a number of recognised and affordable alcohol rehabs that are considered to be of exceptional quality. We are very selective in who we work with, as we appreciate that your or your loved ones life will be in their hands. By admitting to an alcohol rehab through Which Rehab, you will not incur any additional cost but you will gain many benefits. If you are looking for a community based alcohol rehab, we can help. We devise bespoke therapeutic alcohol recovery programmes that can be delivered in the community to tackle your alcohol problem and equip you with the needed tools to stay sober. How Do I Find The Right Alcohol Rehab? Please call Which Rehab for a free of charge professional assessment of your alcohol rehab requirements. From there we can take care of everything for you, including the payments, admission and transportation; taking the stress out of your situation and ensuring that you access the best alcohol treatment for your individual needs. We can also arrange urgent alcohol rehab, so please don’t delay accessing life saving alcohol treatment and call us today.